DANOBATGROUP will once again be present at the Spanish Biennial Machine Tool Fair (BIEMH), which will take place from 2 to 7 June in the Bilbao Exhibition Centre (BEC), demonstrating its strong commitment to state-of-the-art technology through its latest solutions aimed at the cutting-edge industries. The group will be the largest exhibitor at the fair, with a total of 1400 m2 of exhibition area, shared between exhibition hall 1 (Stand D-22/40 F-21/39 ) and hall 5 (Stand B-24 D-25), where the latest products will be displayed for the technologies of grinding, turning, boring-milling, cutting and drilling, punching, bending and laser cutting, as well as a wide range of cutting tools and a specific area related to DANOBATGROUP's commitment to fields such as automated production processes to manufacture structural composite parts and the updating of its products to the new Industry 4.0 environment. As an new feature, a prototype of disruptive Dry Fiber Placement Technology Ideally Suited for Aerospace, Automotive, Energy and Transportation OEMs seeking advanced manufacturing will be displayed at the stand in exhibition hall 1. ADMP® Automated Dry Material Placement is a proprietary technology that uses automation to produce the Preforms used with any infusion process to make a composite part. ADMP provides Preforms with improved quality, higher productivity and throughput and reduced labor cost. Related to this technology, the new initiative DRY COMPOSITES has been launched, where key international experts share information about advancements in the use of dry composite material for structural pieces. Grinding: The DANOBAT LG-400 interior and exterior horizontal grinder will be exhibited, which has, among other characteristics, linear motor technology, hydrostatic guides and direct transmission on rotary axes for the grinding of cutting tools, ultra-precision parts for the hydraulics industry and parts for the automotive sector among others. The DANOBAT E-315FV centreless grinding machine will also be exhibited which is especially designed for ultra-precision work - a flexible machine with 6 CNC axes and grinding wheel driven by an electro-spindle (without mechanical transmission). Both machines have a 100% natural granite bed for thermal stability and optimal dynamics. Milling/Boring: The SORALUCE FP-12000 milling and boring centre will be exhibited, which offers great versatility and productivity in the machining of medium to large parts, and the following five heads will be exhibited from SORALUCE, the alma mater of milling-boring machines; the modular quill, universal head, fixed horizontal head, angular head and D'Andrea head. Turning: The DANOBAT TV-1000 vertical lathe and the SORALUCE VTC-2500 vertical turning centre will be exhibited, both highly versatile solutions for turning, milling, drilling and grinding operations with high levels of precision and productivity. Cutting and drilling: Three DANOBAT band saws will be exhibited, models IDS5A, DS3Aand the new HDS6A model, this latter model exhibited for the first time at a fair. All the cutting solutions have been designed to obtain the best results and achieve the best productivity and band life. These are robust construction saws that enable the most recent and future developments in cutting technology to be maximised ensuring the mechanical conditions required to be able to apply the most up-to-date cutting techniques. The stand will also have a specific area for LATZ cutting tools, differentiated by their high precision, reliability and state-of-the-art technology. Among others, standard cutting tools and special tools in high speed steel and hard metal will be exhibited. Furthermore, the latest developments in solutions for the new Industry 4.0 model will be displayed, an ambitious project for the updating of products with the aim of making them capable of operating in an interconnected world, offering, in addition to the machines, services that make its range more productive. The functionalities incorporated into DANOBATGROUP machines will significantly aid programming, through the display of part and component drawings and help for the creation of CNC programs; management, through planning and administration of work orders, real-time display of machine status, and alarm detection and machine recovery; and maintenance, providing user-friendly documentation, remote diagnosis and support, and programming of maintenance operations, among others. 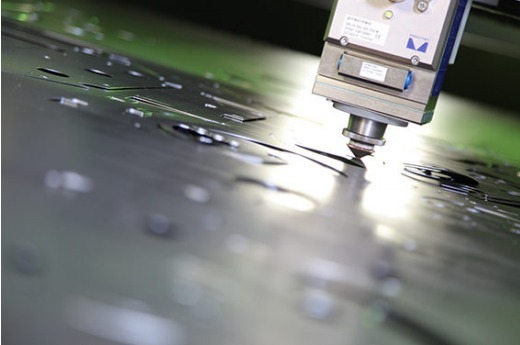 This stand will focus on DANOBAT sheet transformation solutions, where DANOBAT's IRIS fiber laser cutting machine will be exhibited, which incorporates a 5 kW laser source, which makes it possible to cut greater thicknesses and achieve better qualities. The fiber technology allows, due to its wave length, work on a greater range of materials, such as aluminium, copper, brass, galvanised, among others. Furthermore, the CUPRA model punching and shearing machine will be exhibited, a perfect system for rectangular and large production volumes, due to the integration of punching and shearing processes in a single system. DANOBATGROUP is the sum of experience and cutting-edge technology in continuous development. For more than 60 years, the top leading companies have put their trust in us.